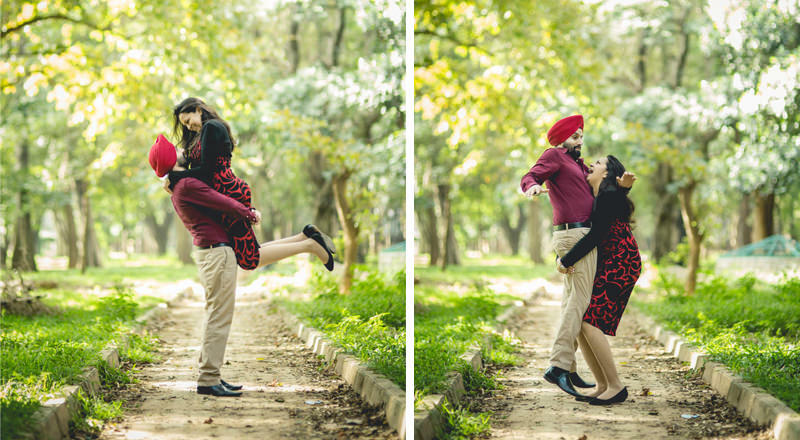 Post titled Pre wedding couple-shoot Bangalore: J+C by Amrit. They started off as friends in Zurich and even before they realised, they were already going out together. And then C returned to India. To let her parents find her a nice husband! Neither of them were sure their relationship had a bright future. A sardar marrying a girl from a conservative Kannadiga family? Cummon! C kept on rejecting every new guy she was shown. And guess who she discussed her attempts-at-arranged-marrige stories with? J of course! They were not together, yes, but she still considered him a great friend of hers. It didn’t take too long for J to realize that he couldn’t just be a friend to C. He realized he loved her. And she realized she loved him back. This love encouraged C to convince her parents to accept J as their daughter’s husband. It was big hurdle to cross. C’s dad was not the biggest fan of Punjabi culture (that he thought existed). But the power of their love finally succeeded (in its own sweet time of course) and in December last year (2013), they got married in Bangalore. Twice. The first day was a Gurudwara wedding and the next day was a Kannadiga wedding. Neelabh took candid pictures during both the weddings while Ankit shot cinematic video footage. 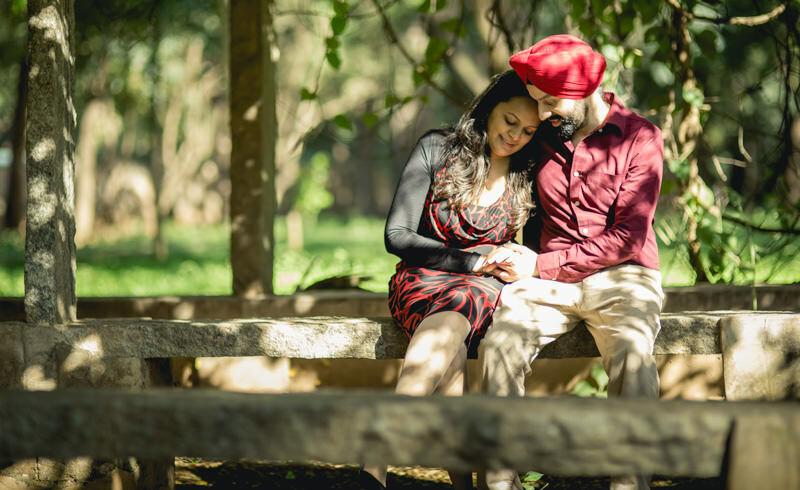 About a week before they got married, I got a chance to go on a walk with them in Cubbon park where I clicked their pictures and listened to their story (pre-wedding couple shoot Bangalore). Sharing some of them, here! I wish a happy and prosperous life to J&C. And I hope you like these sample pictures! Keep falling in love and keep getting married y’all! 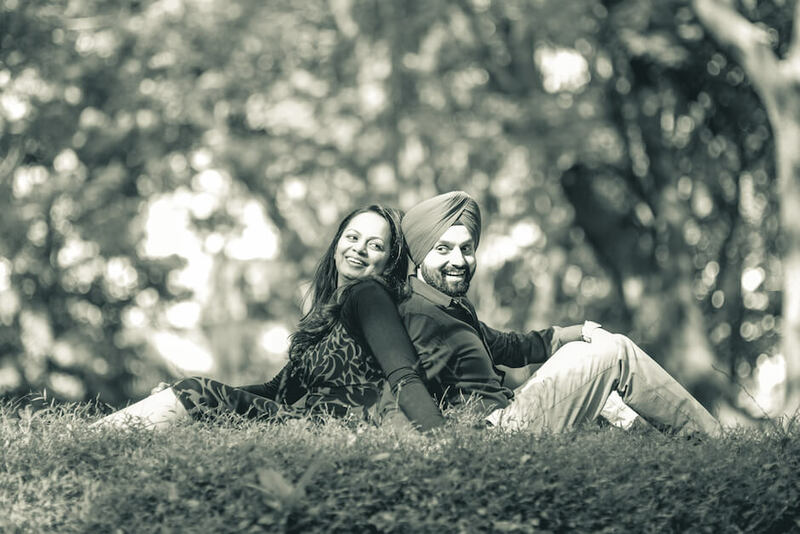 For pricing and other details about pre-wedding photography, visit this page. 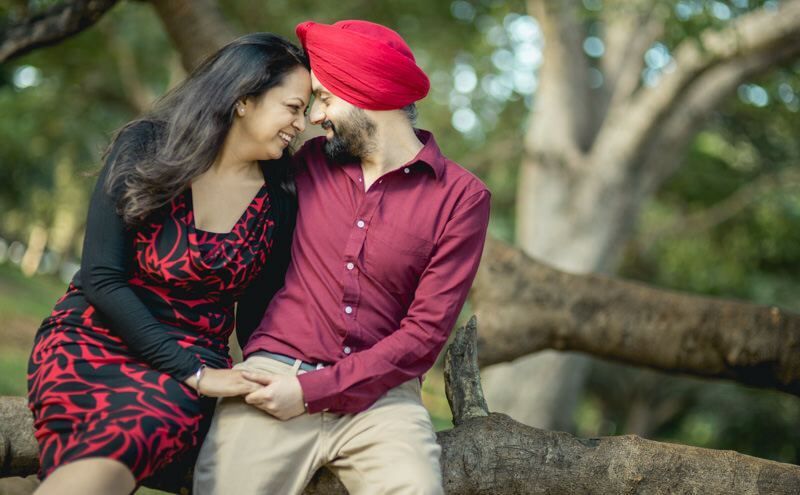 Now though I keep visiting Bangalore for shoots, this was my first couple shoot in the city. And when I asked around (friends) for locations where such a shoot could be carried out, I realised that Cubbon Park and the Lal Bagh are probably the only good options in the city! Personally, it did become a bit challenging to find anything more in the park other than trees, benches, more trees, rocks, some more trees, a small bridge (just that a gutter flowed below it which you can’t see in the picture of course), a lot of trees and luckily few pigeons! Does anyone know about more scenic locations in Bangalore for such shoots? Do let me know!